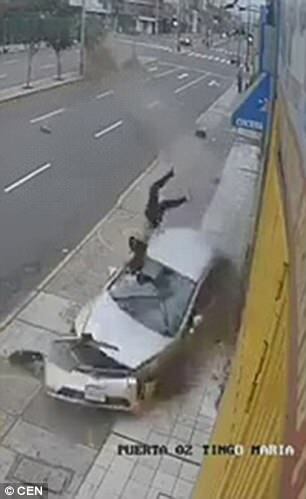 Peruvian police are investigating a car accident which saw a driver lose control of the vehicle and hit a woman walking along the opposite pavement. Sandra Lopez Fuster survived the hit, but was rushed to hospital for treatment to multiple injuries including a broken knee. Police breathalyzed the supposed driver, Franco Pastor, and tests revealed that he had not been drinking.However, officers are investigating witnesses claims that another man, named as Eduardo David Granados, had actually been behind the wheel. 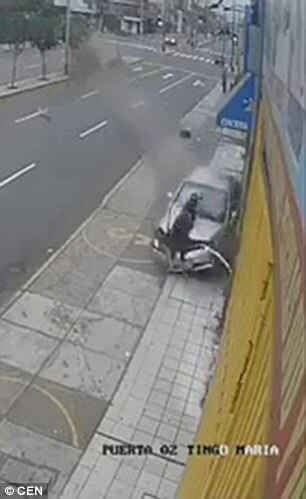 The footage shows the out-of-control car veer across a double-carriageway, knocking down trees in the central reservation, onto the wrong side of the road and onto the pavement. pavement. 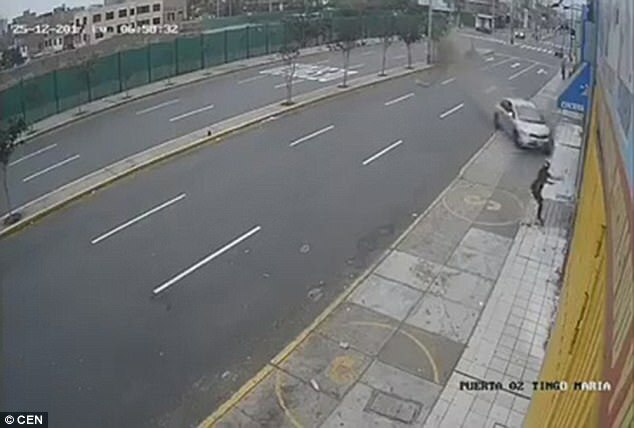 Ms Lopez Fuster sees the car coming and can be seen trying to get out of its way but there is nowhere for her to go to avoid being hit by the vehicle. 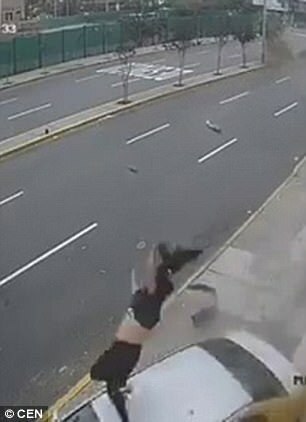 The impact sends the Ms Lopez Fuster, who had been walking home from work, flying into the air like a rag doll, somersaulting over the car. 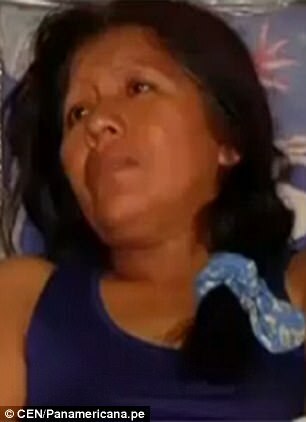 Ms Lopez Fuster said: 'I saw the car losing control, coming over the road and crashing through two trees before it hit me. The police investigation into the accident, in the Brena area of the city, is still ongoing but so far nobody has been arrested.